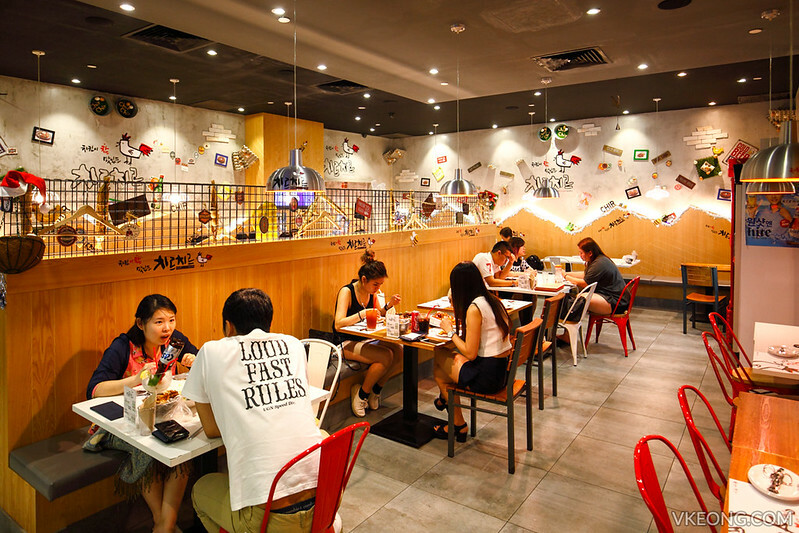 Home Kuala Lumpur Pavilion KL Chir Chir Chicken Fusion Factory – Coming Soon to KL! 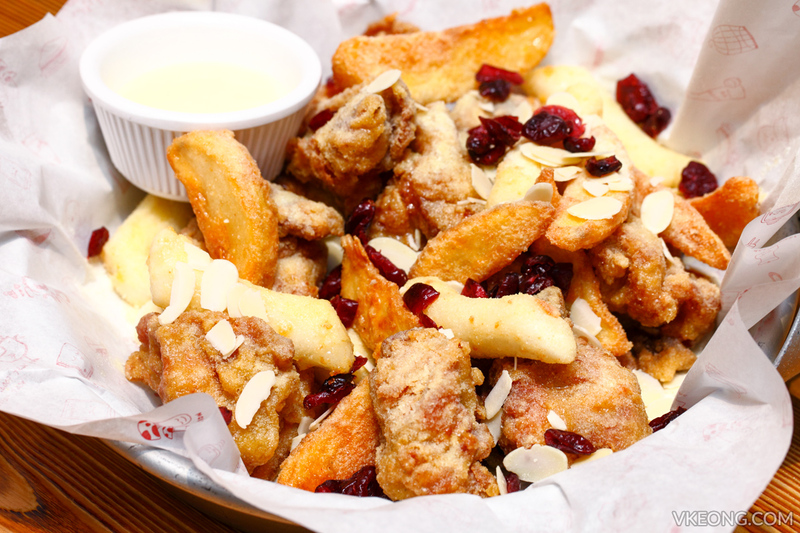 Chir Chir Chicken Fusion Factory – Coming Soon to KL! Attention Korean Fried Chicken lovers, Chir Chir Fusion Chicken Factory will be marking its appearance in Malaysia soon at Pavilion KL. Mark you calendar! But first things first, it’s pronounced as ‘Chi-ruh Chi-ruh‘ which is similar to the sound of chicken being deep fried in hot bubbling oil. 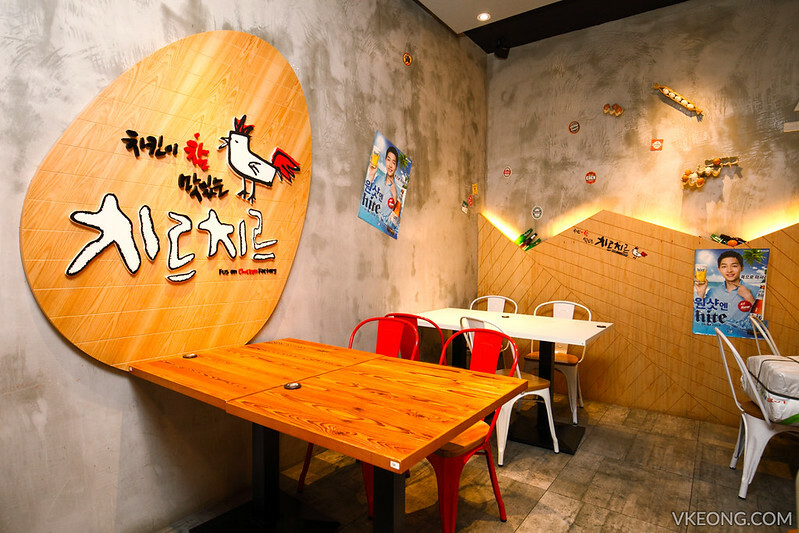 Due to its immense popularity in South Korea, Chir Chir Fusion Chicken Factory is not only the fastest growing chain of franchised-based “Chimaek” restaurant, it’s also the largest with over 100 stores in the country. 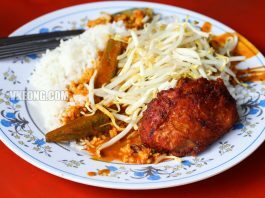 Now it’s Malaysians’ chance to savour Chir Chir’s chicken dishes in matter of weeks. 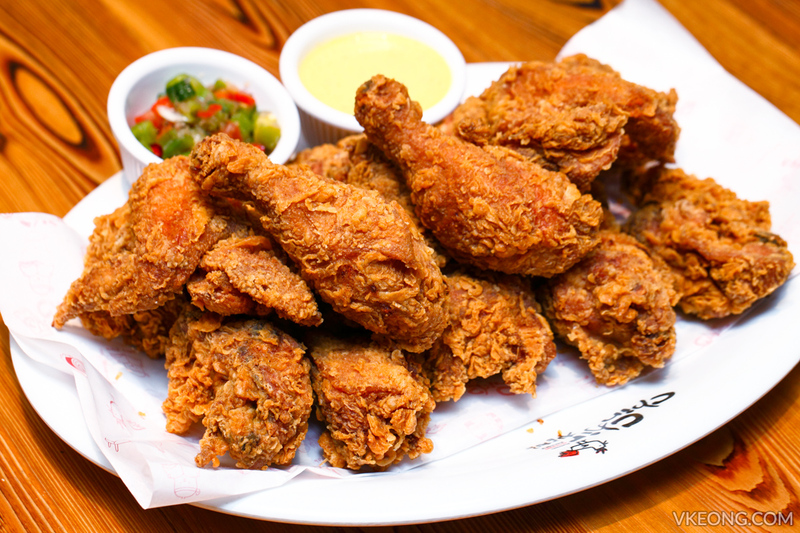 Soon, we will also be eating fried chicken on one hand and sipping on beer with the other – just like what we see on Korean TV shows. Our lives are about to get even more interesting! 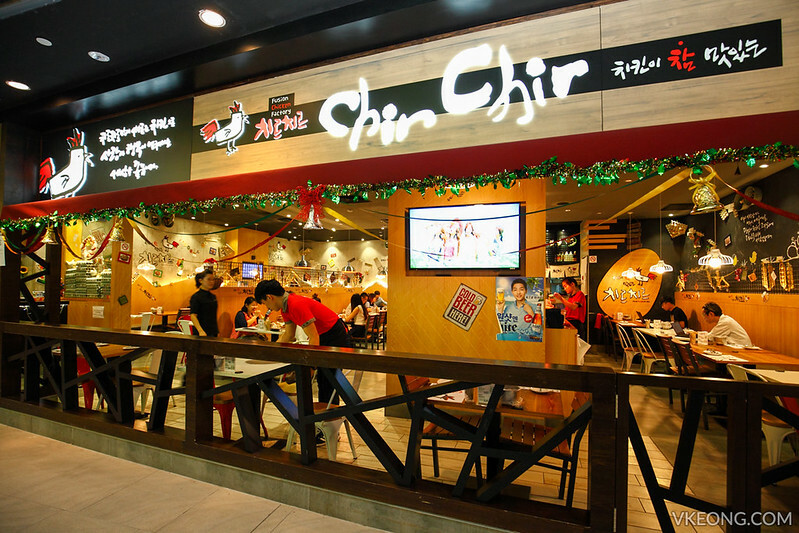 Chir Chir prides on preparing their chicken dishes only upon order; they are not pre-fried and only fresh and never frozen chickens are used. 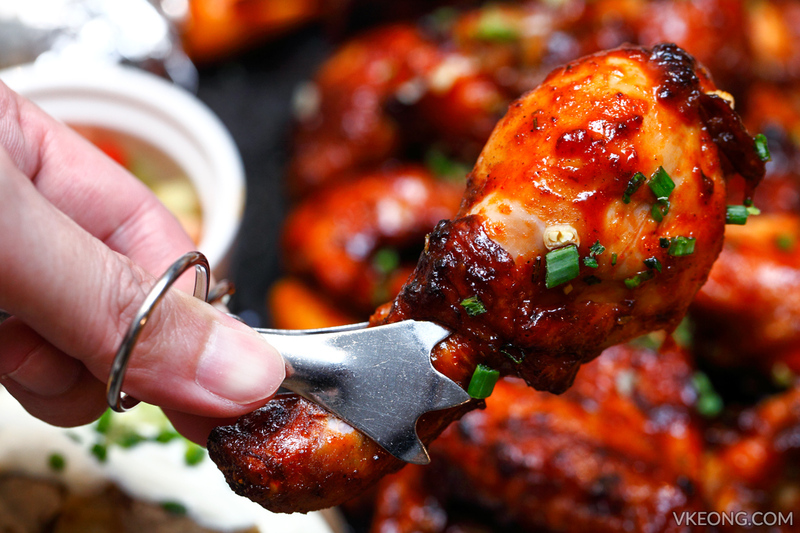 The serving size is pretty standard across the dishes and they come in 3 portions only: whole chicken cut into 15 pieces, chicken wings (7 pieces) or in a pile of boneless chicken tenders. That said, in order not to repeat myself, all the chicken dishes we had at Chir Chir were incredibly juicy, tender and fresh. It’s really as delicious as claimed without exaggeration. Not to mention the serving size is huge too which bodes well with our culture of food sharing. Looks like Koreans and us have a lot in common after all. 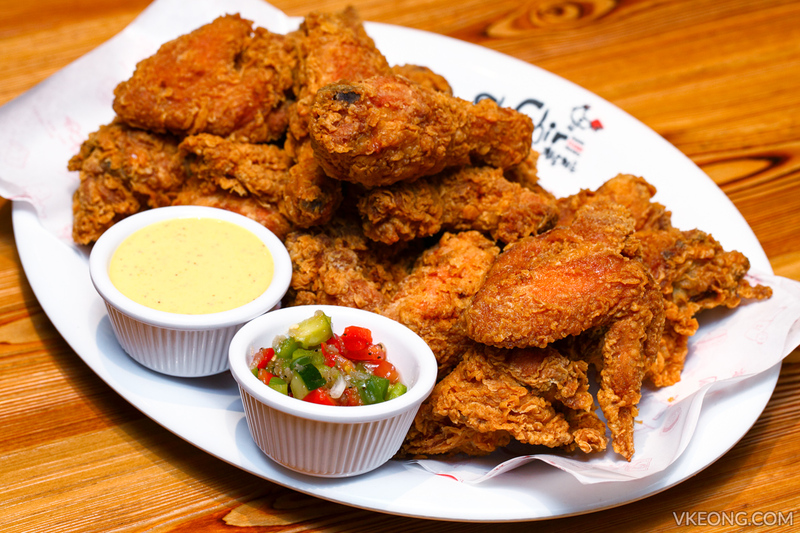 Chir Chir’s Signature Fried Chicken is made from Chir Chir’s original recipe which gives every piece a crispy exterior and a juicy bite. They are available in 3 selections and flavours so pick one that suits your cravings. 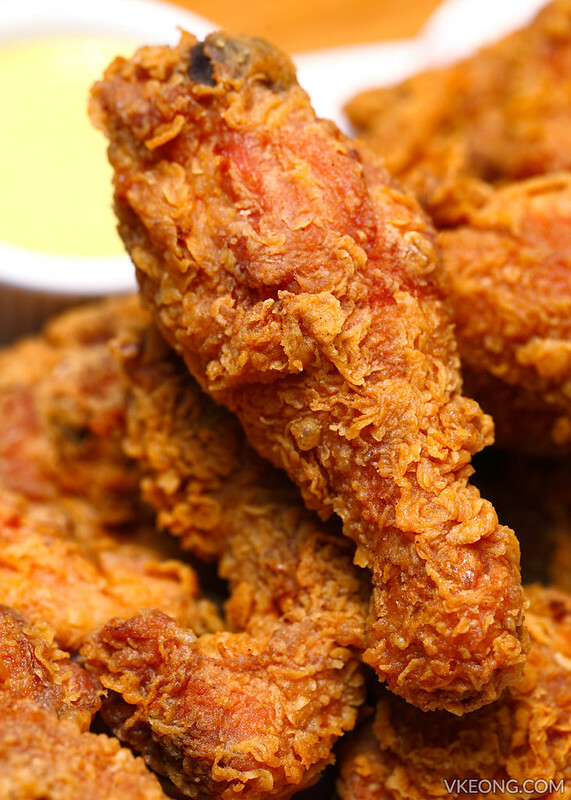 The Crispy Fried version shown above is marinated for six hours in their house-seasoning before going into the fryer. Perfectly cooked, so crispy you can even see it’s the real deal. 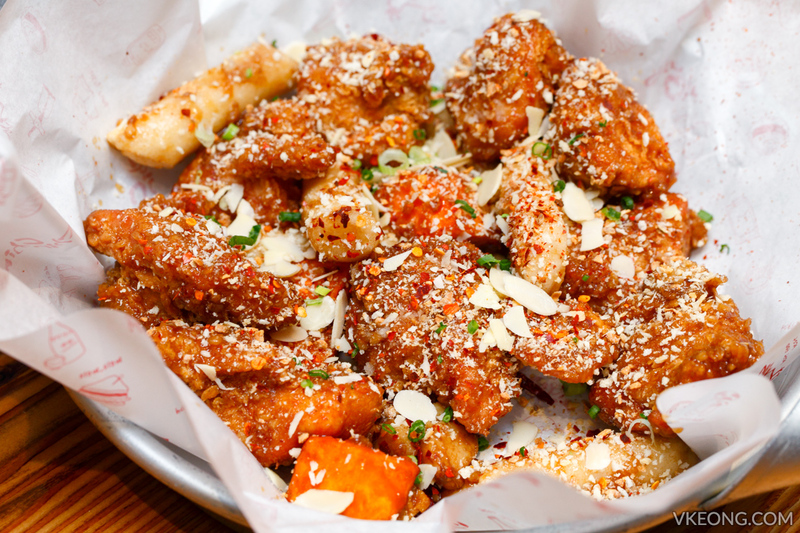 The Garlicky Tenders are immersed in their special house-made soy sauce then sprinkled with crunchy garlic flakes. 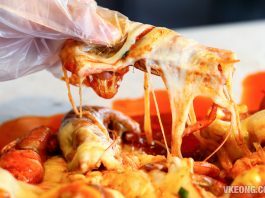 If you notice, it’s also served with sweet potato cubes and topokki for an even more filling dish. 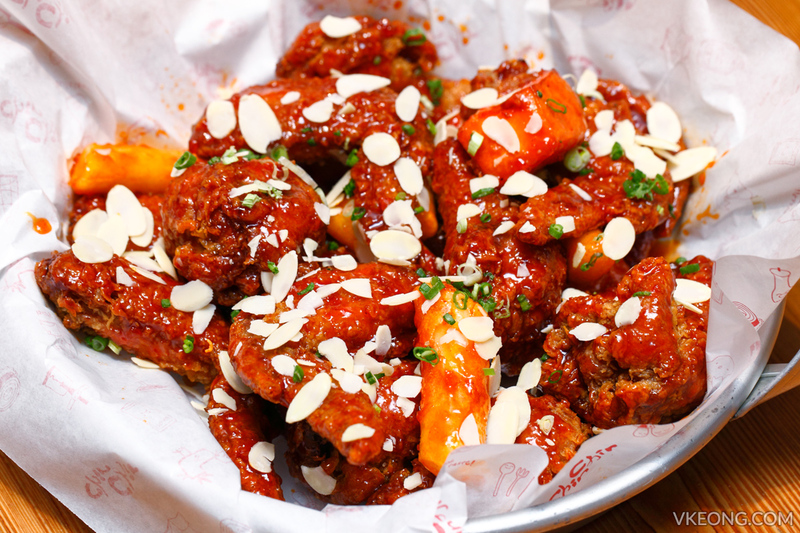 A word of caution, the Spicy Wings are outrageously addictive and you will want to lick your fingers clean. Spiciness-wise, lets just say that Chir Chir doesn’t kid around with that term. When it says spicy, you can expect a kick. For those who have tolerance for spicy food, here’s one that’s equally tasty. 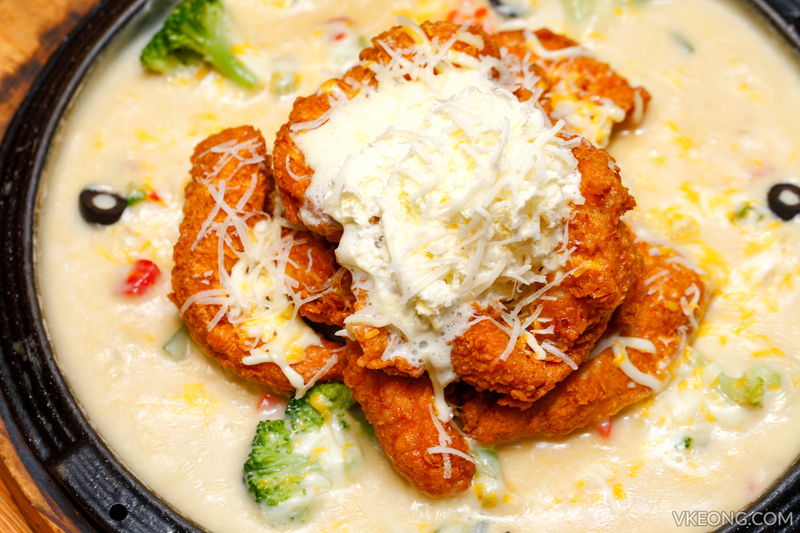 The Honey Butter Chicken is a favorite at Chir Chir and it’s not hard to see why. They managed to strike that right balance of seasoning between the honey and creamy butter sauce, so you won’t feel ‘jelak’ at all. 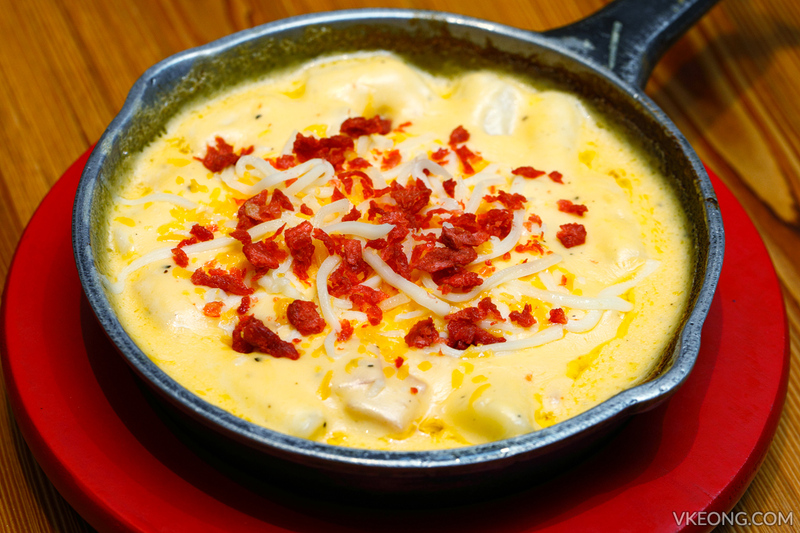 The cheese lovers will find the Nest Snow irresistable. Imagine succulent chicken tenders served on a sweet potato puree bed with cream sauce, olives and peppers. Then it’s topped off with not one, not two but three different cheese: parmesan, cheddar and mozzarella. As icing on the cake, there’s even a swirl of whipped cream to make the dish even richer. 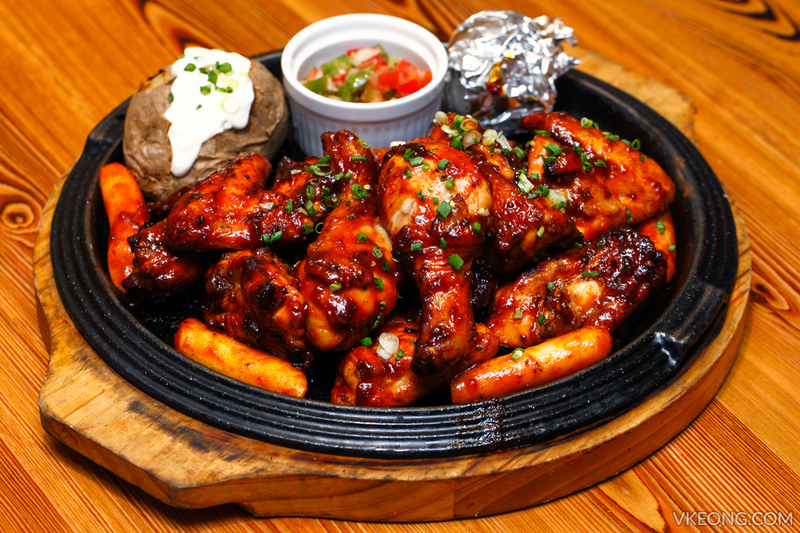 While I liked everything I had, I simply loved the Spicy BBQ Roasted Chicken. The word ‘love’ rarely appears in this blog of mine, so the fact that I actually used it, that says a lot about this roast chicken. So yes, Chir Chir does not excel in just fried chicken, roast chicken is also a specialty of theirs and I can’t recommend this enough. 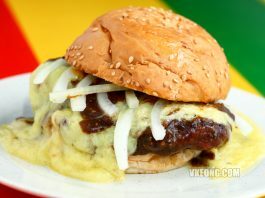 The spicy BBQ sauce is unlike anything I have had before and I am sure it will be a Malaysian favorite. Lest I forget, Chir Chir also provides every customer with a mini tong to keep your hands clean while eating. 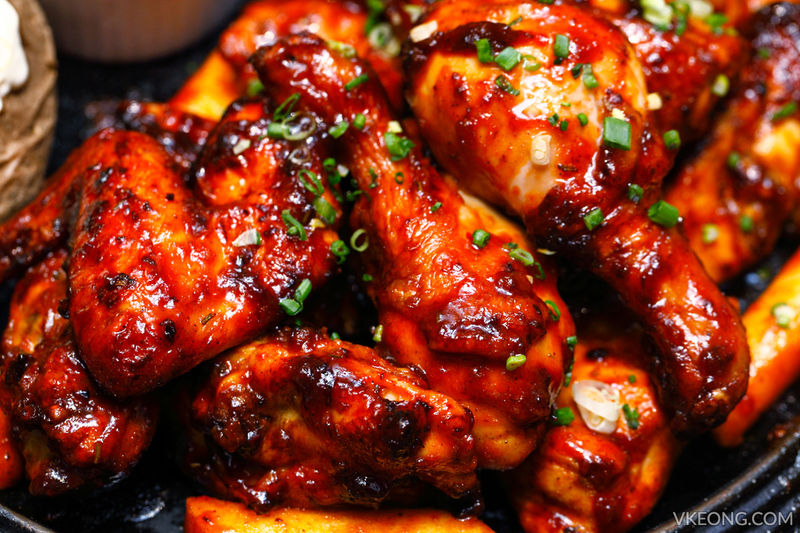 But with chicken and sauces this delicious, I wouldn’t mind getting my hands dirty for them. Chir Chir’s extensive menu also offers other great add ons. 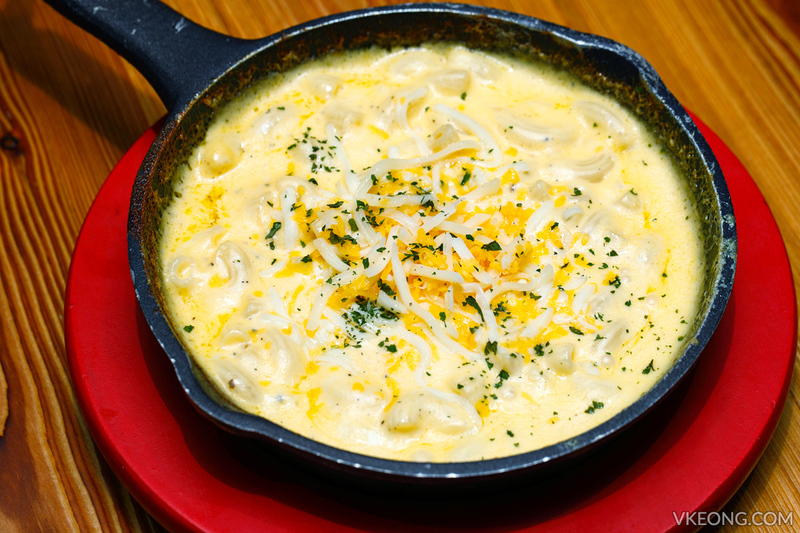 The Mac & Cheese and Topokki & Cheese are both covered in soft cream sauce and cheddar cheese. 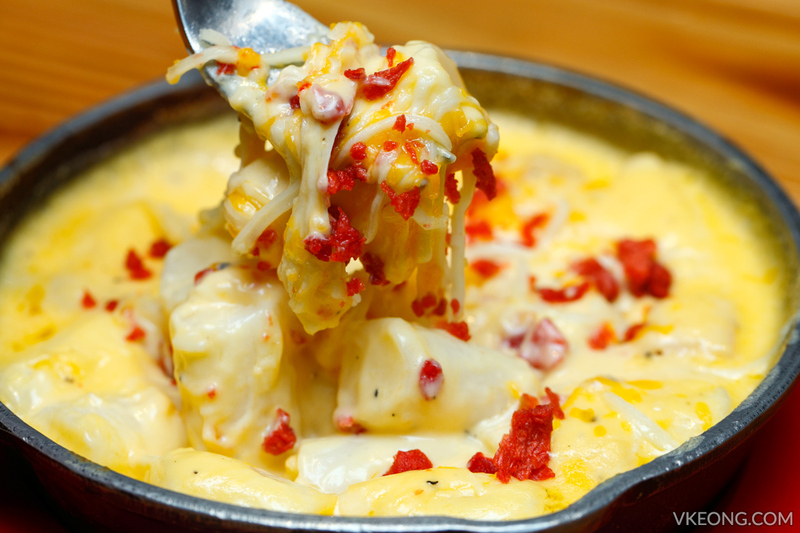 The cheese pull effect is strong here and would surely delight the ultimate cheese fans. 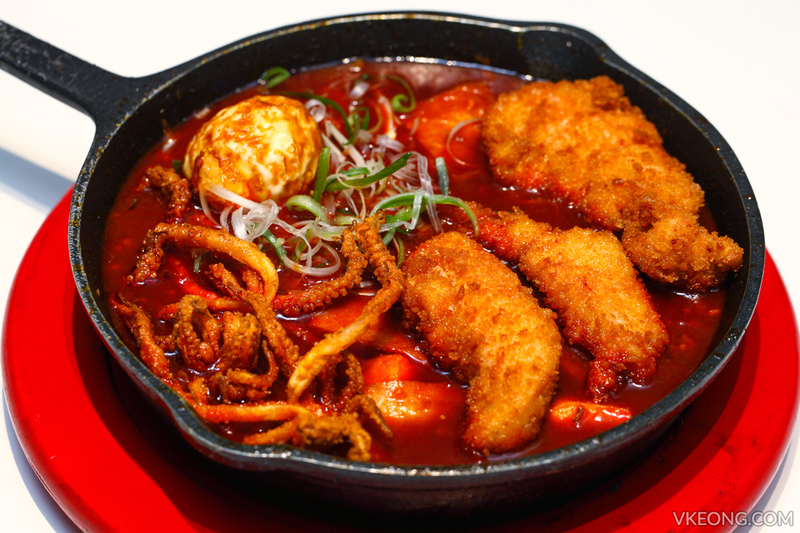 If you can’t get enough of spicy things, then the Spicy Topokki is right up your alley as this is even spicier than the Spicy Wings. The heat level is high in the fiery and rich sauce, but not to the point of being punishingly hot. 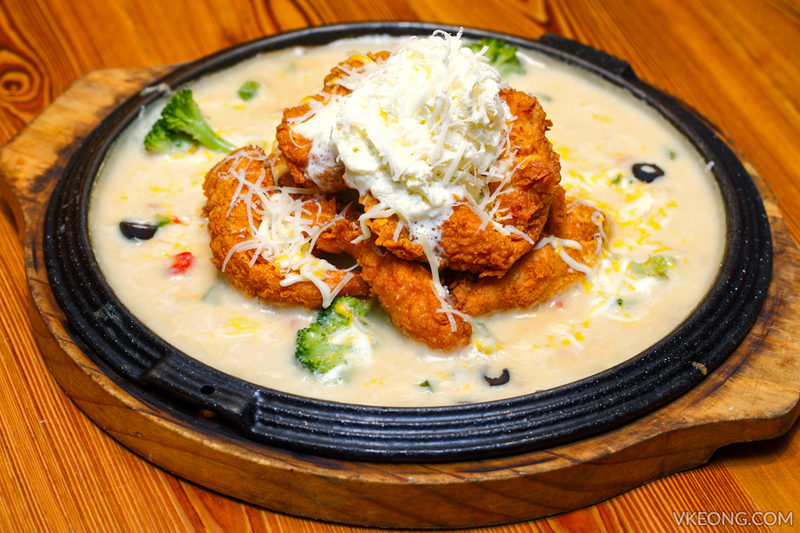 It’s loaded with Korean rice cakes, fish cakes, Cajun battered squid and egg. An authentic “chimaek” experience wouldn’t be complete without beer. After all the term is coined after the combination of fried chicken and beer. 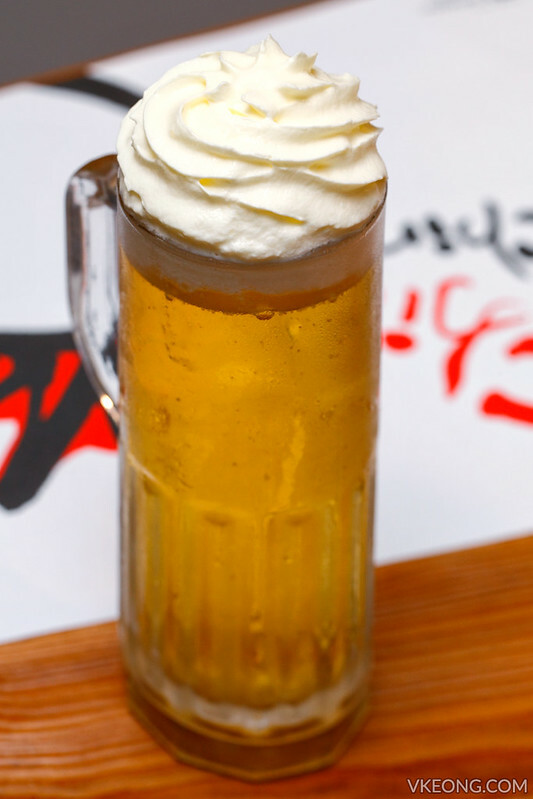 For first timers, the Chir Cream Beer (served with Cass beer) is a must try. It’s inspired by a ‘latte kiss’ scene in a hit Korean movie. The intended way to enjoy this is to have your lips covered with the cream while drinking, hence the ‘latte kiss’ effect. 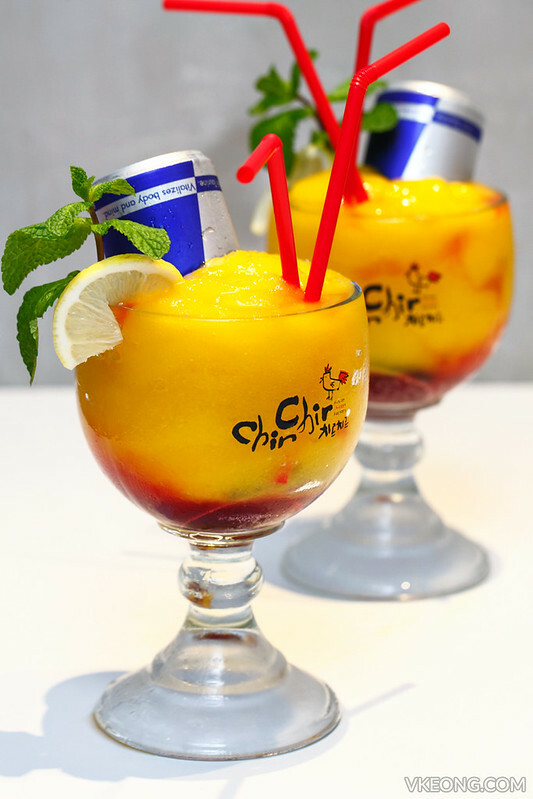 Besides beer, Chir Chir also has Soju infused drinks available in alcoholic or non-alcoholic form. The Passion Yellow Tok! Tok! (tropical passion fruit flavor) and Blue Marine Tok! Tok! (green grape flavor) might appear normal but they are actually come with a twist. 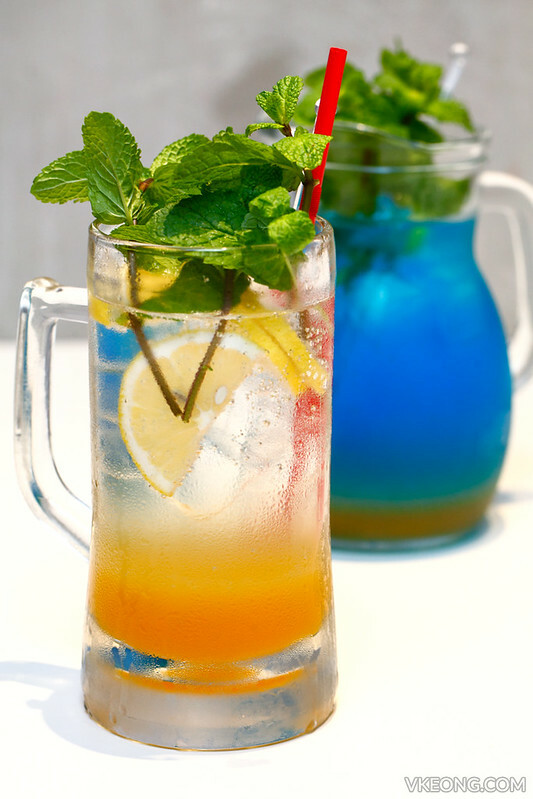 Before being served, they are fizzed at the table side with an iSi soda charger to create that sparkling sensation. For something that looks and tastes cool, get the Red-gizer, an energizing mix of mango and strawberry syrup topped with Red Bull. 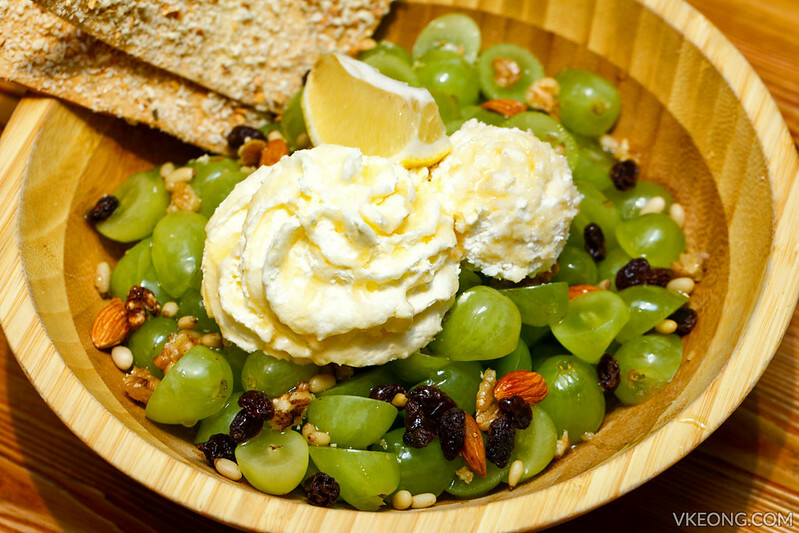 The Honey Grape Salad can double as a salad or a dessert – up to you. Personally, I thought it’s something to enjoy at the end casually over a conversation. The grapes used are seedless and properly cleaned to rid them of any bitter after taste, very thoughtful of them. Chir Chir will open its doors to Malaysians at Pavilion by January 2017. Based on my dining experience, I am personally excited for this and can’t wait for you guys to try them. If everything goes exactly as planned the food standard is properly maintained, I foresee Chir Chir will be a big hit among us because the flavor fits our palette.